This topic contains 17 replies, has 13 voices, and was last updated by trickofthelight 1 year, 10 months ago. Whoa!!! Sounds awesome. A pity us lowly console peasants will have to wait till July, but I see that not it’s without good reason. Is that the new hero holding the lantern? OMG that art is amazing. And from the description, this looks like the best $10 I’ll spend this year. Really looking forward to this 🙂 Can’t wait to take a new team of heroes to their doom! Amazing artwork on the promo as well. "Besides that, it's all in the reflexes" - Check out my channel ColdCoastGaming over at YouTube for Let's Plays of Indie, Strategy and FPS games and more! This artwork is so pristine and new while still keeping familiar elements. I do think this DLC will do the same for our beloved game! "Reason is such a seldom sight in this world"
Okay, time for the guessing game. 1. A rogue Vampire who help kill other vampires. Most obvious and boring new class reveal. But I’d still play em nonetheless. But I am still convinced it must be something else. Something that can fit in all the regions. 2. An Immortal. Highlander style. It would be fascinating to have a teammate that can’t die in a game about death. Would have to be nerfed as all hell if someone could not die. 3. This one is broad. Someone who deals with the dead. A priest? A doctor of some sorts? Oh maybe a graveyard keeper. 4. A religious guardian of some sorts. 5. Someone involved with royalty. I too tired to think of anything else. I bid you good folks adieu. And then you guys will make a PSN theme and avatars and everything will be right in the world? Awesome, thanks! Very excited for this DLC to come my way. So this clearly has vampire vibes. OK… but I really hope that they stay a million miles away from the Twilight “teenage girl’s fantasy of a handsome bad boy” crap. And really the whole genre as it currently exists. It is concerning that the art (while nice!) shows a beautiful face in the sky area. If it has to be vampires then let’s hope DD has *darkest* vampires — horrors that only appear beautiful (if they do at all) because of deception, like the Siren when she charms your team. Typical vampire film/TV fodder has a strong “oooh it would be kinda cool to be a vampire” theme. DD has managed to give us an excellent werewolf-eque hero that, while textured and engaging, is surely no one’s fantasy as something to be or to be with. Let’s hope they can do the same with the vampire archetype: remind us of their origin as unconditionally horrible terrors in folklore. Don’t worry, Oxonian. If you look at the concept art when CC was first announced and the one screenshot we have of The Courtyard it’s definitely DD’s take on the vampire mythos. It got pushed back because of the radiant update. And the winner is “The Flagellant”. Technically a religious fanatic who tortures himself and others. This guy looks crazy. Can’t wait to play him. 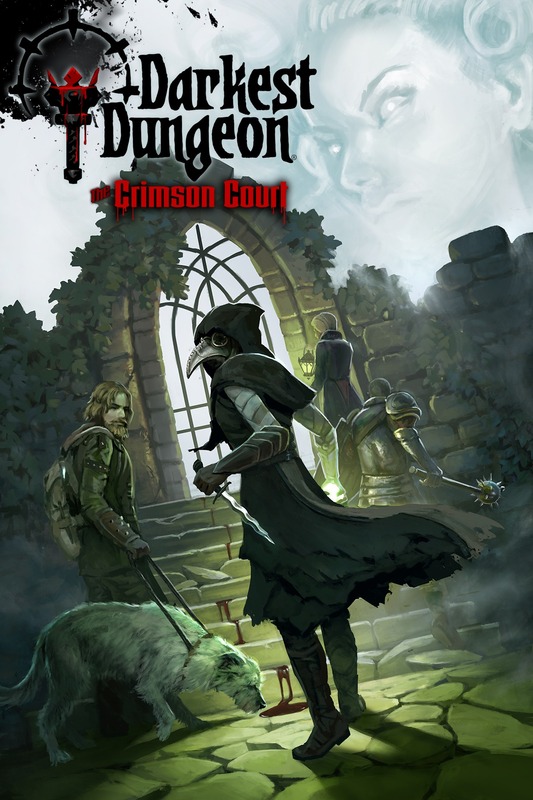 Does anyone know if a new game will have to be started once the Crimson Court releases, or will it be integrated into games already underway? I don’t think anybody knows yet, but I can see it going either way. oh yes please release with Musketeer…..